On this international conference, the keynote speaker was the Grand Mufti Emeritus of Bosnia, Dr. Mustafa Ceric. 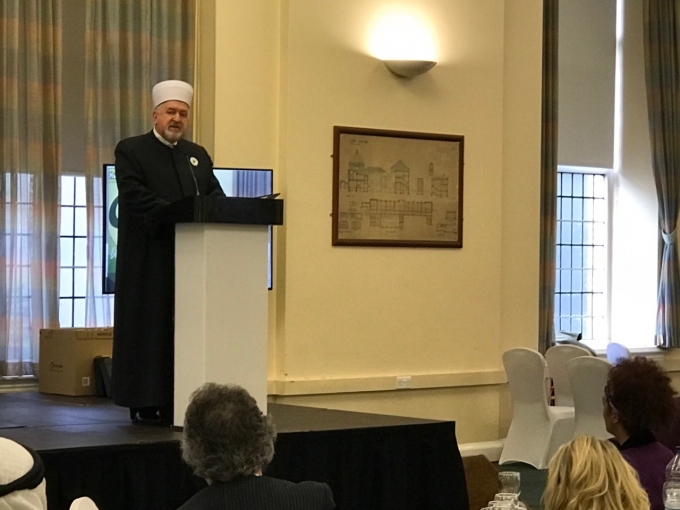 He is one of the most senior European Muslim scholars, who reflected and shared his experiences and lessons learned from the conflict and genocide in Bosnia and Herzegovina. The address on the international conference by Dr. Mustafa Cerić can be read in the entirety below. 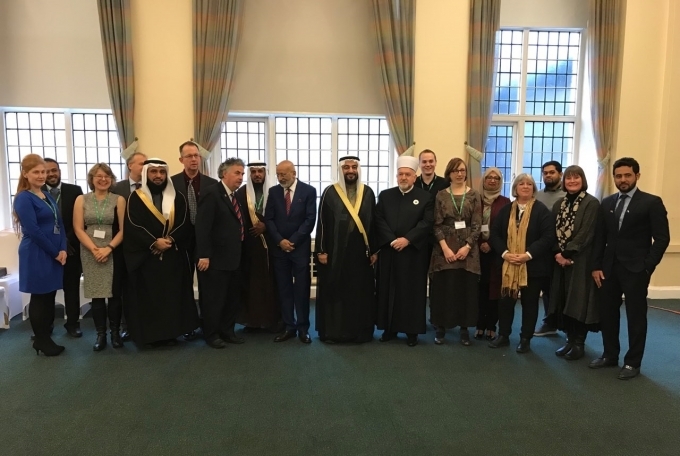 The University of Wales Trinity Saint David is one of three organizations that will be hosting a joint conference on peaceful co-existence in December to explore how religious groups can co-operate locally and globally. The Ethical Approaches to Peaceful Coexistence Conference is being hosted by UWTSD, the Muslim Council of Wales, and the Saudi-based Knowledge Exchange Program and will bring together academics and practitioners from across Europe and the Middle-East. It will be held in Cardiff on the 5th December 2017. The Muslim Council of Wales is an umbrella body representing Welsh mosques and Islamic organisations. - Dr Abdullah Al Lheedan from the Knowledge Exchange Program and author of Tolerance in Islam. The one-day conference is aimed to identify practical ways in which communities locally and globally can build on shared values. 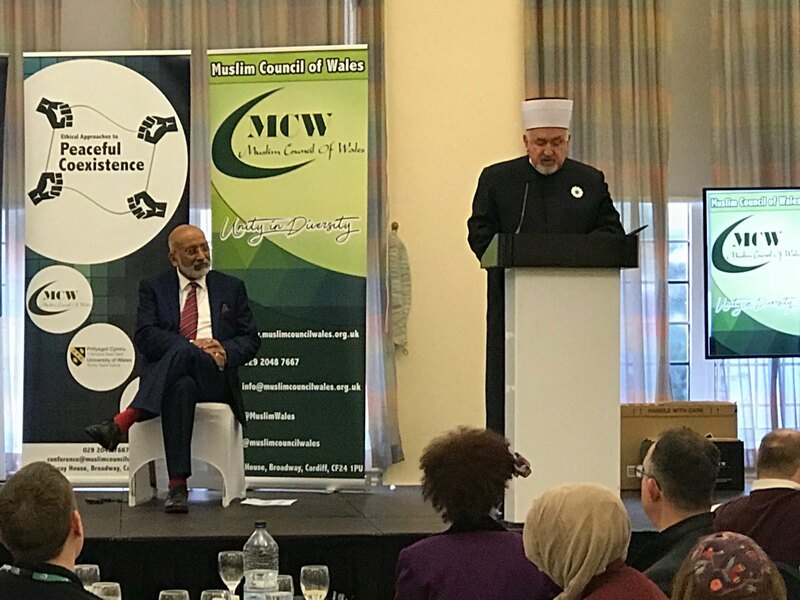 Speaking about the intention behind the conference, Saleem Kidwai, Secretary General of the Muslim Council of Wales, said “society is very polarized at the moment, and all of us have a responsibility to try and bring it together, this is an example of faith groups and academic institutions working together for that”. 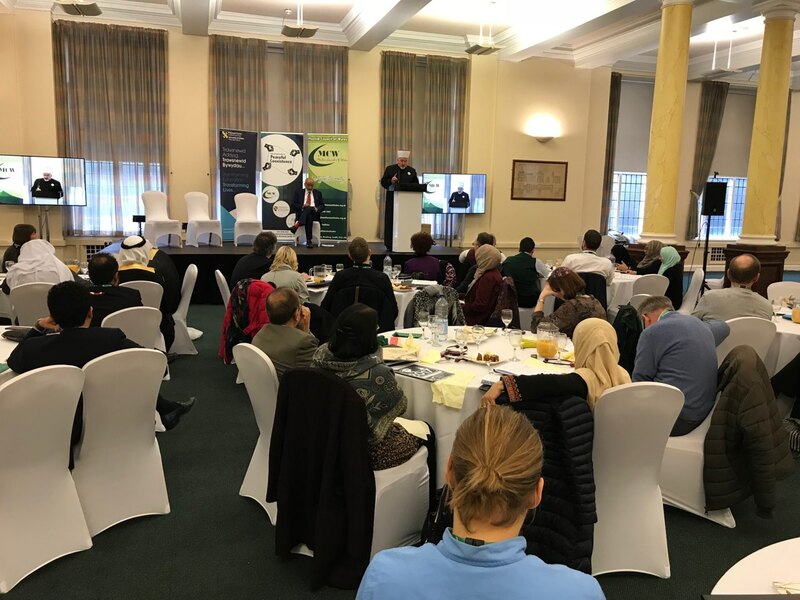 He continued “Islam in particular is often accused of being responsible for violence, this couldn’t be further from the truth, and this conference will have many Muslim scholars who are in position to speak authoritatively about Islamic teachings”. Dr Catrin Williams, Reader in Theology and Religious Studies at the University of Wales Trinity Saint David notes that “scholars in Theology and Religious Studies have much to contribute to understanding and addressing many of today’s problems; this conference promises to be an opportunity to do just that”. The conference will be opened by Lord Dafydd Elis-Thomas, and will be attended by politicians, academics, faith leaders and members of the public. Saleem Kidwai believes that Wales is the perfect place for the conference. “Wales is leading the way on many issues. 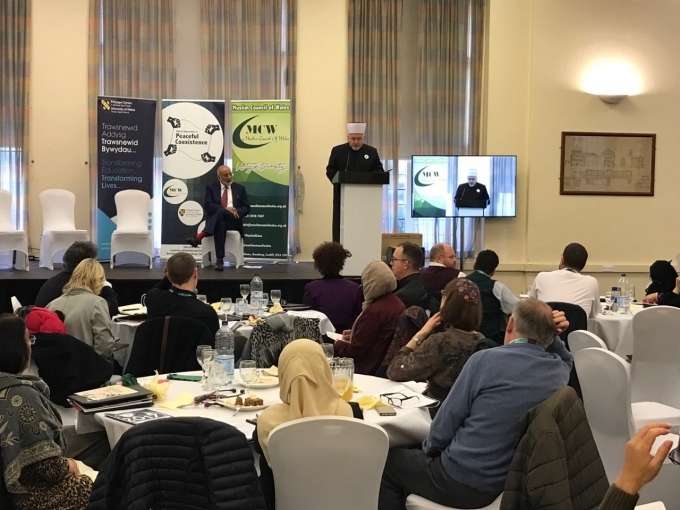 The Future Generations Act is exemplary, and the Faith Communities Forum the Welsh Government holds is a model that other countries should look to adopting. 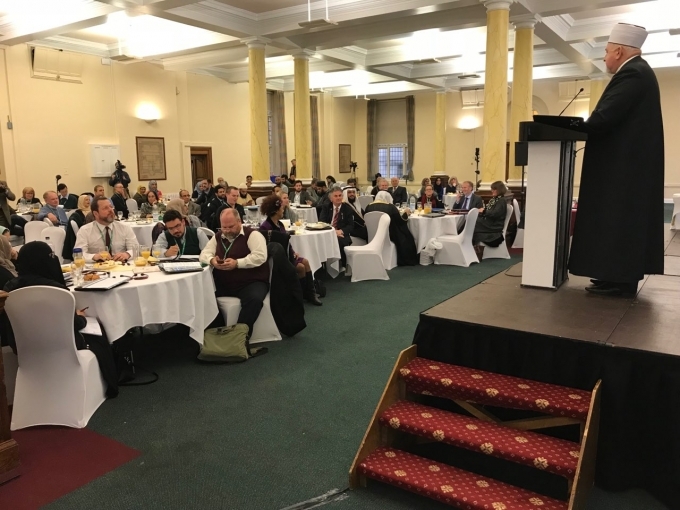 It is absolutely perfect for Cardiff to host this conference as a country that is determined to be innovative and radical in creating a fairer society”. These two Messenger’s statements are guiding us to make a distinction between the Arabic term (خُلُق ) and the Arabic term ” أَدَب“. The term (خُلُق ) is closest in meaning to the Latin term mōs, moralis, meaning manner, custom, way, usage, practice, habit… which is, once again, closest in meaning to the Qur’anic moral term (معروف), which is the core of the moral message of the Qur’an based on the main moral principle of “promoting right and forbidding wrong”(”الامر بالمعروف والنهي عن المنكر“). The “right” here is called “المعروف”, which literally means: “something which has become known to every one to be morally right and thus morally good as well”, by the way of custom versus “wrong” ”المنكر“, which means: “something resentful to every one because it is morally wrong and thus morally evil as well”, by the way of custom as well. And the Arabic term , ”أَدَب“, which is closest in meaning to the Aristotle’s idea of ethos, which was his idea of a rhetorical strategy employed by an orator whose purpose was to "inspire trust in his audience" (Rhetorica 1380). Thus, ethos or ethics is promoted through the orator's "good sense, good moral character, and goodwill”. Unlike the French word morale, which means both ethics and morality, in English we have it as in Arabic that morality (الاخلاق) designates more or less the idea of man’s natural (born with) morality which man has inherited or which has been imposed upon him by a society. On the other side stands ethics (الأدب), which comes in a way of teaching and training of the mind and heart to be able to make clear distinction between good and evil, right and wrong, just and unjust moral behavior. Here comes the Qur’anic idea of “a light upon a light” (” نور علي نور“)… Indeed, we are born with a moral light (” نور“) or (”الخُلُق“), a natural moral sense, which is capable unmistakably by its nature to differentiate what is right and good from what is wrong and evil: “God has inspired the human soul to be able to sense what is wrong and evil for it, the soul, so that it does not miss what is right and good for it in terms of its right and good understanding of the nature of God, its Creator and Sustainer”, (”فألهمها فجورهاوتقواها“). In light of this first “Light” we should read the the Qur’an’s statement about the Prophet Muhammad’s high standard of ethics and morality when it sates in the way of assuring him: - Indeed, you are on the high level of original or natural morality (وَإِنَّكَ لَعَليَ خُلِقٍ عَظِيمٍ). This was said to Muhammad, peace be upon him, on the occasion of his first encounter with the angel Gabriel who taught him how to offer the prayer (الصلاة) . The Meccan’s lords at the time didn’t like the news about Muhammad’s contact with a mysterious heavenly being. The most vehement against the news about Muhammad’s gaining some extraordinary spiritual power was Walid ibn Al-Mughirah Al-Makhzumi (d. 622). As soon as he heard the news, he announced that Muhammad was insane (مجنون). It is because of this Walid’s accusation that the Qur’an has cleaned up the Muhammad’s morality by assuring him that he was not insane but instead he was of a highest natural moral standard as a light upon the light (نور علي كور ). Let me say now that the first light is God’s immediate light and the second light is God’s circumstantial light of human mind, which must be a subject of education and training about right and wrong, good and evil, just and unjust manner of behavior. The more we seek the God’s immediate light, the more we benefit from the God’s circumstantial light of human mind and, consequently, the less we are exposed to the God’s immediate light, the less God’s circumstantial light of human mind is enlightened. These two lights, the light upon a light, are twins that make the science of ethics meaningful and the custom of morality workable. Without this natural God given moral light in us and without that educational light for us as an enlightenment for the sake of peaceful coexistence, man cannot survive, as Ayn Rand rightly put it: - Man has been called a rational being, but rationality is a matter of choice—and the alternative his nature offers him is: rational being or suicidal animal. Man has to be man—by choice; he has to hold his life as a value—by choice; he has to learn to sustain it—by choice; he has to discover the values it requires and practice his virtues—by choice. A code of values accepted by choice is a code of morality. (Quoted from Galt’s speech). - If someone is ignorant of faith, you should say: - This man has sinned against God in ignorance, and I have sinned against Him knowingly, so God’s case against me is stronger, and I do not know what end He will give to me and what end to him. And it goes the same if someone is an infidel, you should say: - I do not know; perhaps he will become a Muslim, peacefully faithful, and his life will end in doing good, and because of his acceptance of Islam, the faith of peace, something of his sins will be taken away, as a hair is taken from dough; but as for me – God is our refuge (God grant it does not happen) – perhaps God will lead me astray so that I become an infidel and my life ends in doing evil, and then tomorrow he will be among those brought near to God and I shall be among the punished. (Ghazali’s The Beginning of Guidance [Bidayat al-Hidaya]). There are two different statements regarding this matter like: “There shall be no celibacy in Islam”, (" لا رهبانية في الإسلام “) and “There shall be no abstinence from marriage in Islam”, ”لا صرورة في الإسلام ”. The first one is not the Hadith, while the second is the Hadith reported by Ibn Abbas. 2) The second point of the reform of religious thought, which Islam had bout about in 7th century is the cancelation of discrimination based on religion. We have several verses in the Holy Qur’an which indicate to that effect. But, the most powerful statement is the phrase in the Paragraph II, verse 256, where is stated: “There shall be no compulsion in religion”, (”لَا إِكْرَاهَ فِيالدِّينِ“). هذا الحديث قد رواه الإمام أحمد بن حنبل في ( باقي مسند الأنصار - روقمه 22391 ) ما نصه : حدثنا إسماعيل حدثنا سعيد الجريري عن أبي نضرة حدثني منسمع خطبة رسول الله صلى الله عليه وسلم في وسط أيام التشريق فقال (( يا أيها الناس ألا إن ربكم واحد وإن أباكم واحد ألا لا فضل لعربي على أعجمي ولا لعجمي على عربي ولا لأحمر على أسود ولا أسود على أحمر إلا بالتقوى أبلغت قالوا بلغ رسول الله صلى الله عليه وسلم ثم قال أي يوم هذا قالوا يوم حرام ثم قال أيشهر هذا قالوا شهر حرام قال ثم قال أي بلد هذا قالوا بلد حرام قال فإن الله قد حرم بينكم دماءكم وأموالكم قال ولا أدري قال أو أعراضكم أم لا كحرمة يومكم هذا فيشهركم هذا في بلدكم هذا أبلغت قالوا بلغ رسول الله صلى الله عليه وسلم قال ليبلغ الشاهد الغائب). - When the female (infant), buried alive, is asked for what crime she was killed? •	Whoever does good deeds in good faith: be it male or female, he/she will enter the Heaven, and there shall be no injustice done to anyone! (5) The fifth point of the reform of religious thought, which Islam had brought about in 7th century was the cancelation of an inherited guilt based on the original sin and, instead, Islam has introduced the promotion of the idea that all men and women are born free. It was Muslim philosopher Ibn Sina (980 – 1037) who had introduced the idea of (الصفحة البيضاء ) “White Paper” before John Locke (d.1704) came to the the idea of “tabula rasa” or “black slate”. This idea brought about a new approach to epistemology in the sense that individuals are born without built-in mental content and that therefore all knowledge comes from experience or perception. So, if that is the case with knowledge, then it must be also with ethics and morality in the sense that all men and women are born free of sin. No one bears the sin of others, which means that every one is responsible for his own sin, as we have it in the Holy Qur’an: (لاَ تَزِرُ واَزِرَةٌ وِزْرَ أُخْرَي ). And we have it in the Hadith also that “each and every child is born in his/her own free nature, which is designed by God, and then his/her parents made him/her to become of such and such faith - Judaism, Christianity or Sabaism, etc.”. Dear brothers and sister, ladies and gentlemen, I see that we are faced today with two big myths, which make us blind to see the whole truth, and nothing but the truth about Islam and Muslims today both in the West as well as in the East. And, as you know, the myth is false, but not entirely. The myth has in it some truth or half truth, and not the whole truth. Indeed, in this half truth of the myth lies today’s predicament about Islam both in the West and in the East. In the East, i.e. the Muslim world, there is a myth of Islamic tolerance, Islamic dialogue, Islamic peaceful coexistence, Islamic nonviolence and Islamic morality, which I have tried to highlight here as well. But, this is only one half of the truth, and not the whole truth. The other half of the whole truth is often missing from our story because it is very painful for us to hear it quietly let anole to speak about it loudly. But, we have no choice but to hear it clearly and wisely as well as to speak about it honesty and loudly. Indeed, we have to save the myth of Islamic tolerance, dialogue, peaceful coexistence, nonviolence and morality before it is killed by the myth of Islamic intolerance, Islamic conflict, Islamic sectarian wars, Islamic violence and Islamic immorality or amorality. Indeed, I see it now. This myth of Islamic incompatibility with today’s world is developing nowadays in the West and is spreading widely across the globe. The Rohingya Muslims in Myanmar are victims of such a myth. They are suffering an ethnic cleansing because of the the myth of Islamic threat that has being projected for a long time. As a Bosnian Muslim in Europe I bear witness to that effect. Indeed, I am survivor of Genocide at the end of the last century because of such a myth. But, let us be honest. This negative myth about Islam has its roots in a long history of misunderstanding between the Cross and Crescent. But, this myth is just a half truth, and not the whole truth. Moreover, the Muslims believe that it is not true at all. It is a myth of lie and conspiracy against Islam and Muslims. The Muslims believe that this myth has been invented by old and new islamophobists who hate the Muslims because of their staunch islamophobic prejudice and that the Muslims are totally innocent of such a negative prejudice. There is some truth in this Muslim apologetics, but not the whole truth. This kind of Muslim apologetics is not convincing because the other half of the Muslim whole truth is not properly presented to the world audience. Indeed, these two opposing myths, one positive and one negative, about Islam and Muslims today, have been fighting each other for a long time with one slight difference recently. The myth of Islamic incompatibility is becoming stronger as the myth of Islamic compatibility is being pushed back by Muslim bloody conflicts in the Middle East. And here is the puzzle that the Muslims must solve. The Muslims must kill the myth of Islamic incompatibility before the islamophobists kill the myth of Islamic compatibility. And to achieve that the Muslims must make a serious and responsible review of the meaning of the myth of Islamic tolerance, Islamic dialogue, Islamic peaceful coexistence, Islamic nonviolence and Islamic morality by including the other half of the whole truth, namely that there are some Islamic historical texts which are not compatible with the pure faith of Islam and thus these texts must be removed both from the Muslim mind and the Muslim desk not because impressing the West but because these texts do not belong to the spirit of an inclusive Islamic worldview. I have to say here that in the same way as the Muslim world is embarrassed by the Western myth of Islamic incompatibility with today’s world, the Western world is not impressed by the myth of Islamic compatibility as long as the Muslim world is not capable to recognize the reality of the other half of the whole truth, which has become too obvious to be ignored. The West is not correct in building the false myth about Islam’s incompatibility, but the East makes a grave mistake if it assumes that this myth will disappear by itself. No, it will not, but it will continue as long as the Muslims do not grasp the reality of their situation and take appropriate actions to make the Muslim myth of Islamic compatibility with today’s world sustainable in the sense of an authentic and real Islamic culture of tolerance, dialogue, peaceful coexistence, nonviolence and morality as it is the main goal of the mission the Prophet Muhammad, peace be upon him, who said it clearly that his mission was to improve the moral state of the world. The Prophet did not say that he was sent to rule the world by force as some extreme groups would like us to believe. Personally, I believe in the myth of Islamic compatibility with today’s world. Without this belief I could not imagine my Bosnia in the aftermath of Genocide, but also without my belief in the whole truth of the Bosnian reality I could not imagine my place in the European society. And, personally, my belief is that the Knowledge Exchange Program of the Kingdom of Saudi Arabia is timely and good one. Indeed, this Program will enable us here in Europe to cope with the negative myth by teaching us how to the tell the truth, and nothing but the truth about the true faith and culture of Islam, about the faith and practice of Islam which are aimed at reaching out the people of different races, nationalities and religions of good will and peaceful coexistence. It is because of this noble mission of the Knowledge Exchange Program of the Kingdom that I have accepted to be an active member of it with a strong belief that this is exactly what we need today - an exchange of thoughts, experiences and good will so that we may live peacefully in this time when we all need the peace of mind like the piece of daily bread. Of course, two evils do not make up any good, but two goods make up one greater good. - Good and Evil are not the same. Therefore, you should always promote Good and thus if there is an enmity between you and him, he might as a result of your goodness become your sincere friend (Qur’an,فصلت:34). Although the lesser of two evils principle (أخَفُّ الضَرَرَيْنِ ) in Fiqh has a sense in the context of necessary conditions (darūriyyāt), which both Muslim classical and modern scholars are using extensively, the greater of two goods principle (اَفْضَلُالنَّفْعَيْنِ ) or (اَفْضَلُ الخَيْرَيْن) of which, as far as I know, the scholars have not spoken yet, has the better sense because in its essence Islam is the binding of two goods as two wings bay way of which birds are flying in the air or as two positive energies are needed to make the balance (التوازن) necessary for the Islamic civilization to fly or to walk through history. The scholars and intellectuals in the Muslim world are equally divided about some basic concepts of faith, state, democracy, human rights, freedom, etc. It is, therefore, the task of all wise and responsible Muslim thinkers to find out the best possible way for a spiritual, cultural, intellectual, political, economical, military - indeed a civilzational recovery. It is not difficult to conclude that current internal Muslims bloody conflicts have come as a result of unsettled opinions about basic issues such as the meaning of life, the role of religion, the importance of morality, the function of democracy and the constitution of state. The matter here is not about the content of Islam, but about a methodology of implementing the content. There is no Muslim, male or female, who questions the divinity of the Qur'an, who does not believe in the prophethood of Muhammad, a. s., who does not take the Ka’ba as his/her direction in daily prayer. Furthermore, there is no Muslim, male or female, who does not appreciate the basic values of human rights, freedom, equality and social justice as basic Islamic values. However, the differences emerge in a methodical approach to these basic values so that some tend to focus at one time only on one value neglecting the other equally essential for a whole picture of Islamic civilization. By doing that they distort the balance of two goods as two wings which are carrying out the Islamic civilization throughout the history. From the connectivity of idea about the origin of the world (cosmogony) with the belief in the hereafter (eschatology) up to the interdependency between the worldly success and heavenly salvation, Islam is offering a way of life in the manner of dualism of two interconnected values, which are meant to design a historical path of Islamic civilization. Thus, God's message (al-risālah) and God's messenger (al-rasūl) are interconnected in such a way that it is impossible to grasp God's message without God's messenger, and also it is not possible to speak about God's messenger without God's message. Hence, those who neglect God's messenger by an unduly emphasis on God's message are hitting the balance (التوازن), indeed - they are furthering themselves from the integrative force (الوسط) of Islam as an inclusive worldview. Equally so, those who intentionally or unintentionally make emphasis on God's messenger on the expense on fundamental principles of God's message are breaking the designed order of Islamic culture and civilization. Following the philosophy of dualism of two goods, that we are offering here, is opening a possibility to see that the truth of tawhīd of Mecca and the social justice (al-'adl) of Medina are two equally valuable foundations of a holistic Islamic worldview. For, thirteen years of the prophetic mission in Mecca is just a half of a whole. The other half of it is ten years of Medina, where the truth had been embodied into the social justice. Medina was not possible without Mecca, but also Mecca without Medina had not met the necessary conditions for a holistic Islamic worldview. Those who exclusively emphasize the truth of tewhīd, neglecting the principle of 'adl, the social justice, are distorting the balance of the Mecca-Medinian holistic historical experience. Truth is a condition for an individual mental health of man, while justice is a condition for a social mental health of the human society. Therefore, truth and justice are two goods as two wings of the holistic Islamic being. There cannot be the holistic Islamic being without both wings, without both energies: truth in the soul of individual man and justice in the life of human community as well as of state. Let me conclude with what I have began: the morality al-akhlaq is a matter of natural habit and societal custom (al-ma’ruf) and the ethics al-adab is a matter of education or literature, indeed, it is a matter of belles-lettres, "beautiful" or "fine" writing, aimed at improving human character of whatever human race and faith. I strongly believe that we need today a new P. R. based on our mutual understanding and respect. Indeed, we must understand that two living civilization of today: the Islamic and Western are like Siamese twins that cannot be separated without severe surgery. But, after the surgery one of these twins might not survive, but no one knows which one. Even worse than this is a possibility that none of them might not survive. So, what the Siamese twins are supposed to do? They are supposed to understand the needs and rights of each other; they are supposed to cooperate with each other because neither the meek nor the aggressive will inherit the Earth, but the cooperative; they are supposed to respect individual personalities of each other so that they may peacefully coexist without fear from each other; they are supposed to free themselves from their false myths and to embrace the reality of their worlds together for the sake of peaceful coexistence all together in this troublesome world.